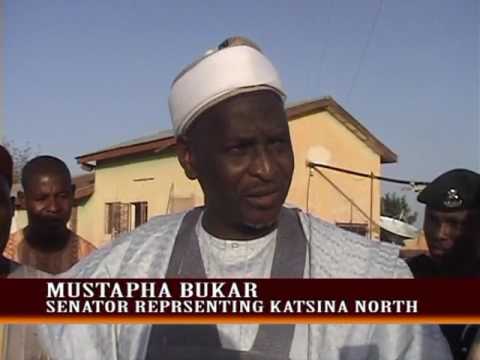 On Wednesday, President Muhammadu Buhari commiserated with the government and people of Katsina State and the National Assembly on the death of Senator Mustapha Bukar, who represented Katsina North constituency. Buhari also sent condolences to the family members, friends and professional colleagues of the deceased, who he noted distinguished himself as an engineer before vying for political office to serve his people. The President recalled that as a young engineer, the deceased used his ingenuity to proffer a lasting solution to the perennial water crisis in Katsina, working at different times as a General Manager of the Water Board, Director of National Water Rehabilitation Project and Director, Water Supply at the Federal Ministry of Water Resources. “I am always touched by the death of dedicated and creative public servants like Senator Bukar. We should emulate such rare and hardworking Nigerians for the progress of our country,” the President added. Buhari prayed that Allah will bless and forgive the soul of the deceased.